Each student is expected to conform to the Code of Conduct as formulated by the Board of Governors. In addition a student must be prepared to adhere to all timetable and curriculum arrangements. This will include being involved and present at all classes, registration, assemblies and the college ceremonies. It is important to ensure that students embarking on Sixth Form study have the right attitude as well as aptitude. Previous attitude to learning will play a very important part in the selection process. Where a student wishes to transfer from another school, GCSE results will be used as evidence of academic ability. The advice and opinion of the Principal and teachers of the previous school will also be taken into consideration. Potential students to Sixth Form must have demonstrated a good level of attendance in Key Stage 4. A student is expected to have a positive attitude towards behaviour, study and attendance. This will involve the signing of an agreement accepting the rules and standards set by the College and the obligations and responsibilities expected of them. This agreement includes a commitment to be present in the College for the whole of the College year as a full time student and refrain from going on holiday during term time. We will consider attendance, behaviour and commitment in Year 12 before accepting a student into Sixth Form. Prospective Sixth Form students must have further demonstrated commitment to their studies in Year 12 eg. Completion of all coursework on time and positive and co-operative attitude to all members of staff. 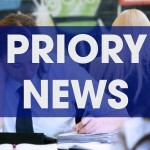 Students who do not conform to the agreed rules and regulations set by the College will be required to seek their educational provision elsewhere. 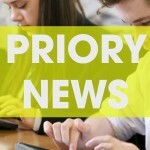 The Department of Education may, in response to a request from a school, increase the number of students that the school can admit to its Year 13. Places that become available in this way shall be allocated only to students who meet the basic eligibility criteria for Sixth Form study (as set out below) and shall be allocated in the order determined by the criteria to be applied in the order set down. 1. 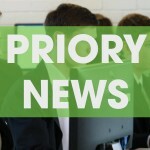 Students who have most recently completed Year 12 in Priory Integrated College. *Parents should note how the Department of Education (DE) will, in response to a school’s request, temporarily increase a school’s enrolment number in order to allow extra post -16 students to enrol. DE will only increase the school’s enrolment number if it is content that each external student for whom a place is requested would not be able to pursue their post-16 course-choices at another suitable school without undertaking an unreasonable journey (i.e. a journey, that by public transport, would be over an hour from where the young person lives or is further than 15 miles distance). If DE finds that no other suitable school may provide all of the post-16 courses that the student wishes to pursue – then DE will agree a school’s request for an extra place.